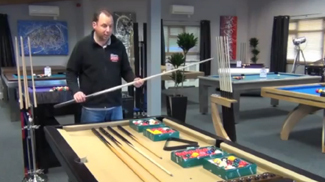 We have a huge range of pub pool tables, available with coin operation or freeplay. We offer personal finance for home customers, or business leasing for commercial buyers. Call us now for more information. Pub pool tables are one of our specialities at Home Leisure Direct, and we offer a fantastic variety of pub pool tables for commercial use. Any pub is enhanced by the presence of a pool table and the table can be a focal point for socialising, keeping customers around for longer and thus increasing profits. Our range of pub pool tables is specially selected to offer the very best pool tables for a pub environment. These tables are all available with coin-operation to enable you to charge for their use, though of course coin-operation is optional. If you choose not to add coin operation to your table it will still be perfect for a pub location, but you'll need to find another way of charging for its use. Landlords now commonly elect to buy their own coin-operated pub pool tables rather than share the profits with an operator. We give an end to end service to facilitate this choice, providing expert advice from the beginning to ensure you buy a pool table to suit your needs. Our experienced installation team are able to adapt to your needs concerning where the table will go as well as configuring the coin-operation free of charge. There are a variety of commercial pool table handling options. The first and most common type is the mechanical "straight six" coin handling system.This enables you to choose your price and coins to be handled. The customer simply slots the coins in the tray and pushes the mechanism towards the pool table, which accepts the coins and releases the balls. The more expensive electronic coin operated tables offer advanced coin handling to accept multiple denominations, and push button operation. We also carry the most advanced coin operation systems on the market which allow you to set charging by the hour and day, which will change automatically without the need for you to lift a finger. Please use the links at the top of the page to navigate to these sections, or alternatively browse below for our entire range of Pub Pool Tables. All of our coin-operated pool tables come complete with free delivery and free accessories so you have all you need to get started once you recieve your table. We carry all the top brands available in the market today. There is a thriving community of UK-based manufacturers which have been in the industry for years. We also sell pool tables from all around the world, coming from Spain, Italy and France. Our Sam Leisure commercial pool tables are used in a whole host of different environments such as Hollywood Bowl and Rileys Pool and Snooker Clubs. They offer robust build quality, stunning designs and great playing characteristics - a must have to keep pool players coming back time and time again. The coin-operated Supreme Pool Tables are amongst the most popular we sell. The Supreme Prince has been used in the World and UK Pool Championships, which was televised on Sky Sports. The Supreme Prince and Supreme Winner are incredibily affordable commercial pool tables whilst offering a wonderfully consistent playing surface. They are designed to work hard in whichever environment they are employed, and withstand the day to day knocks they are bound to endure. We also carry DPT, Longoni and Optima Pool's entire ranges of coin-operated pool tables, so whatever style or design you require we have it. Choose from contemporary styled pool tables which marry the use of metal and wood. Italian and Spanish built luxury pool tables, beautifully designed to attract the discerning high spending player.